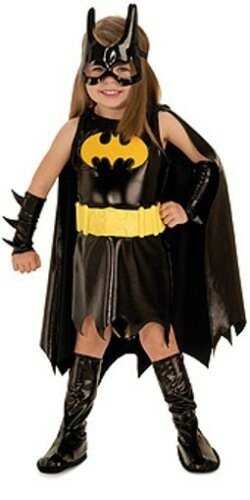 This Toddler Batgirl Costume provides your little girl with the fantastic look of her favorite super hero! Made of quality material, this child super hero costume is ready for action. 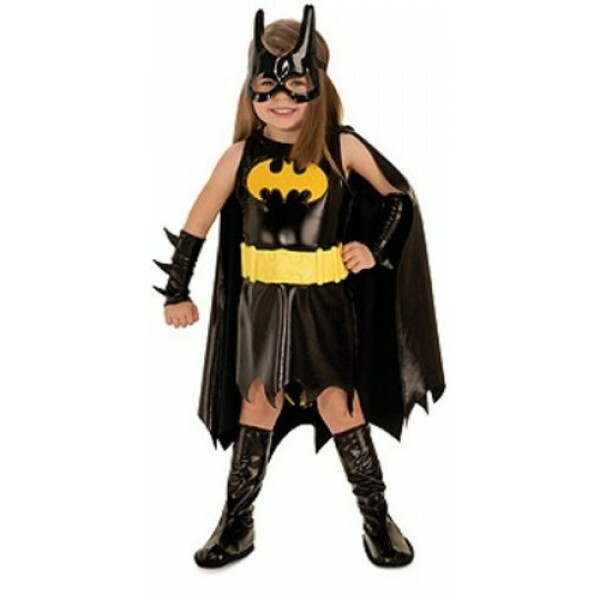 The perfect child Halloween costume idea, this Batgirl costume includes a dress, cape, boot tops, gauntlets, mask, and belt.